I already know what you’re thinking. You clicked on this article because it had “EDH” in the title, and because you thought, “Finally, someone on this website who actually knows what they’re talking about when it comes to the Commander format.” You wanted a benevolent writer who’s not afraid to tell you how much I like your smile, instead of an angst-filled podcaster who’s gonna call you a nerd. I feel you. I understand you. We’re gonna steal some of Jason Alt‘s spotlight for the week, and combine something that I love (bulk rares) with his EDH fetish. That tweet was posted from #GPVegas, but that’s beside the point. I do actually own five EDH decks and enjoy the slow process of foiling them out through trades. It warms my cold, financier heart to find a foil piece for Savra in a binder when I’m so close to having the deck as foil as possible; it gives me something to actually be excited about when trading. However, some of my decks end up being too powerful for local and new groups that I attend. I’m pretty awful at figuring out whether or not my deck is 75%, but I still wanted to have a brew that could be on a somewhat similar power level to someone who just picked up a Commander preconstructed deck from the Walmart. I already had Jarad as my mono-dredge deck, so I didn’t want to go down that path with Tasigur. I had Savra for tokens and sacrifice themes, and Nath was all enchantments. I really didn’t want to make a “good stuff” BUG deck with all of the best Sultai staples that were just recurred over and over again, because I like all of my decks to have their own dedicated theme or niche. While I was pawing through some of my bulk rares in my display case, I had the idea to combine the best of both worlds: what if I made the Tasigur deck, and only used rares that were under a certain price point? It would limit the power level of the deck to the point where I’d be comfortable playing in a lot more environments with casual players, the deck would cost me literally nothing to build (I resolved to only use cards in my $.25 rare box), and I might be able to start a trend in my area. If this building restriction ended up being a ton of fun and took off, then I have a ton of bulk rares to sell to my friends who might make their own bulk rare EDH decks. Every card in the 99 that is not a basic land must be rare, and worth less than $.80 TCG mid (most cards above that price end up in my $1.00 box, so I don’t consider them true “bulk rares”). The general is excluded from this rule, because damn it, I want to play Tasigur. Mythic rares are not allowed, because those aren’t in my $.25 boxes. If the card jumps above the right price point, it must be removed from the deck. I didn’t care if the card had been reprinted as common or uncommon, as long as I was playing the rare version. No foils, other than Tasigur. That would make the card too expensive to play. My first rough draft ended up, well, pretty rough. I learned really quickly that most decent mana fixing was printed at common or uncommon, so Farseek, Cultivate, and even guildgates were out. Any semi-quality rare dual lands are above $1, so I was unable to use stuff like Drowned Catacombs even though it has four printings. As a result, I managed to find Astral Cornucopia and the Ramos rocks as begrudgingly playable. It’s not as though anyone was clamoring to buy them out of my bulk boxes anyway. Ways to fill my graveyard were especially hard to come by, but I managed to pull out Jace’s Archivist and one of those good old Sultai Ascendancies to help cast Tasigur even easier. I even had a cute combo with Laboratory Maniac in the list for a while, but now it looks like I’ll have to remove him. He’s grown up to be a big boy and will move onto the $1 box, so I’ll have to find an additional win condition. My favorite win condition in the deck is definitely Villainous Wealth, though: if I can’t cast expensive and powerful Magic cards, I’ll just try to use yours! After a bit of tweaking a few months ago, this is what I have sleeved up today. While writing this article, I’m learning that more and more cards that I initially had in the list no longer fit the price requirement that I set. Though I set my number at around $.80, you can pick whatever number you like, which I think is a cool way to adjust the format to your personal playgroup’s budget. Removing commons and uncommons from the equation makes it a sort of “anti-Pauper,” where you put a lot of faith in WOTC’s inability to designate rarities early on in the game’s development. I can take advantage of Persuasion having a gold set symbol, but I don’t get to play Control Magic. I’m not going to pretend that I play as much EDH as Jason does. I’ve probably only played this deck a dozen times in the six or so months that it’s been together. 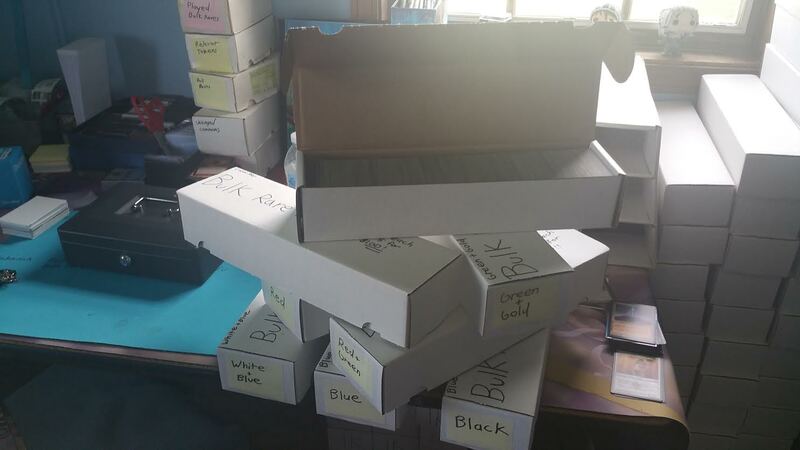 However, I’ve gotten enough positive local feedback and interactions by using the deck, that I think there are tangible benefits to building one if you’re an individual looking to sell off some of your bulk rares for higher than $.15 a piece to a vendor. When I cast Sudden Spoiling to ruin someone’s entire army of dragons and make blocks that devastate their board, one of the responses of the opposing players was, “There’s no way that’s a bulk rare. It’s way too powerful.” That conversation quickly turned into, “How many extras of those do you have that you would sell me? I need one in every black deck.” By displaying powerful bulk rares that can stand up to higher-tier decks, you can show them first-hand that building a deck that I can only accurately describe as “not that bad” can be surprisingly cheap. I mentioned this earlier in the opening, but it’s worth going over again. If you or your playgroups find this type of idea to be fun (I mean, it’s probably cheaper and more fun than Tiny Leaders, if you’re an EDH player who tried that format out), then it’s easy to buy into, challenging to build, and allows for constant adjusting of your deck. I’ve had the deck together for less than a year, and I’ve already been forced to remove at least 7 cards from it because they slowly crept up in price. If I played enough Magic to know for sure, I’d guess that changing your deck up little by little over time manages to keep it fun, refreshing, and exciting to play. These types of decks are also fantastic to show blossoming EDH players who have just purchased their precons, or who have no idea where to start. While we’re on the subject of comparing this to Tiny Leaders, I have to make the amusing observation that it’s impossible for this “format variation” to warp the market like TL did. I’m not suggesting that this will ever actually be as big as TL was, but if a card becomes powerful enough and demanded just because of its efficiency in bulk rare decks, then it no longer becomes a bulk rare. When that happens, we remove the card from our decks until it goes back down to where we want! One final advantage that I want to aggressively push at you about this variant of EDH that I created, is that talking about it is actually getting me to feel and care about spoilers again. I’m actually excited for Gilt-Leaf Winnower to drop down to a bulk rare so I can try it out in this deck. Is it going to be good enough? I have no idea, but I want to try it. I’m going to end up paying $.10 for one eventually anyway, so I might as well take it for a run. I’m even crossing my fingers hoping that Managorger Hydra becomes a bulk rare to supplement the +1/+1 counter subtheme that the deck has slowly evolved into. Am I crazy for thinking this is an actual fun tweak on EDH/Commander? I’ve had a blast playing with my Tasigur deck against other relatively low-power decks. If you’re a fan of 60-card pauper or pauper EDH, I think this is something you’d enjoy a lot. As someone who never used to enjoy actually building decks, I enjoy keeping this one up to date, and writing about it has revived my fervor for sharing it with the world. Let me know what you think in the comments section, on Reddit, Twitter, Facebook, email, whatever. You know the drill. Thanks for reading! I really like this article. 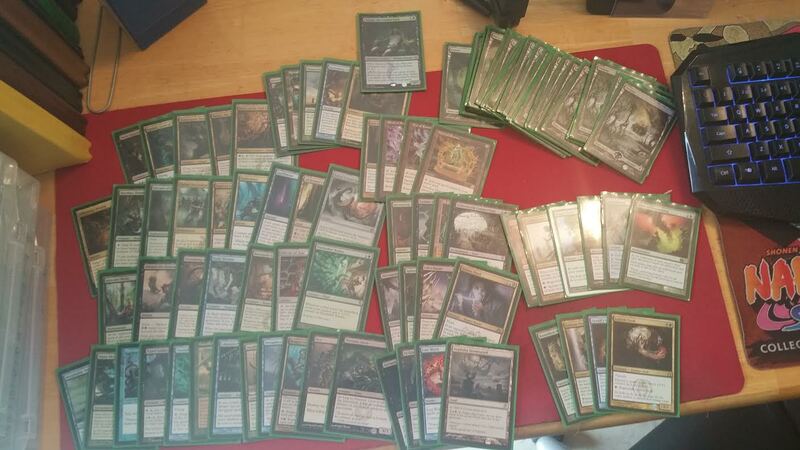 Casual, bulk rares are what got me interested in Magic finance (even though I’m just a casual, weekend finance guy). 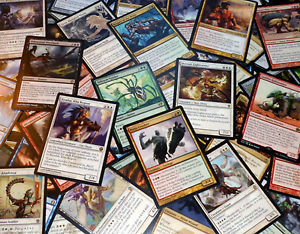 Bought a lot of bulk rares years ago for kitchen-table gaming, then EDH exploded and Modern showed up – the rest is history. Like you, I still get excited about playing with great bulk rares and seeing my opponents’ reactions. I hope you continue these types of articles. Thanks! If I can think of another topic concerning bulk rares that can fit into an article, I’ll definitely do it. It’s one of my favorite areas of Magic finance. Great article. I really like the idea of Bulk Rare EDH and will definately try it out. But I think the commander should be a bulk rare as well!!! It would certainly make the theme more concrete, but I’m concerned that would remove too many color combinations 🙁 There wouldn’t really be any BUG options until Sidisi rotates and becomes a true bulk mythic. Apart from Foil-prices of a few staples (and some oooold legends), Tiny Leaders did not really influence the market that much. Even Ezuri (maybe the most played Leader) didn’t move in price until Elves won a Modern GP. And since you are using a past term here, do you think TL will not eventually catch on? The Community seems to be growing quite a bit and we just got five new toys to experiment with (the Flip-Walkers). I actually love playing with unconventional or bulk stuff, just to see what fun synergies are hidden (I never thought Reality Acid to be decent, until I tried it in my Brago EDH deck. This is evil if it gets flickered…). That’s why I’ll definitely try this out myself. Thanks! I personally didn’t really enjoy Tiny Leaders because every game felt the same. When I played a couple of games and watched several games in Vegas, every optimized deck played almost the exact same cards. Even though we got 5 new Leaders, I feel like the same other 49 cards will be used in those decks.